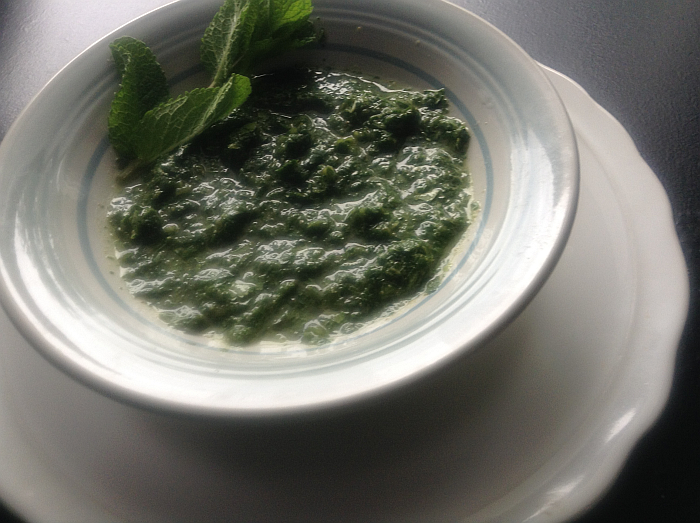 Dips and Sauces – Get Cooking! 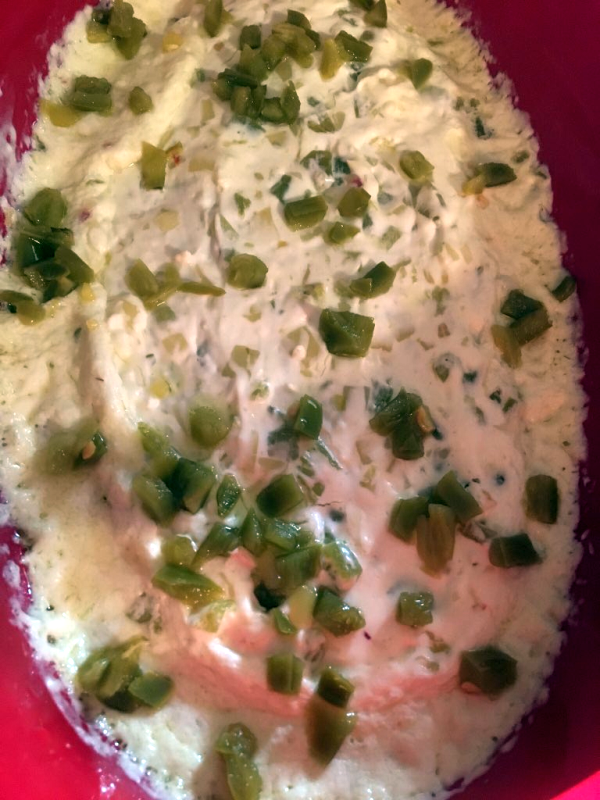 This dip (which makes any game, movie, or History Channel show even better – this isn’t conjecture, I’ve done the studies) combines some of my favorite things in the culinary world: Cream Cheese, Green Chiles, and Jalapenos. Serve with tortilla chips and lose yourself in the yumminess. If there are leftovers, refrigerate them. The next morning, spread on bagels, toast, or English muffins – you will NOT believe how incredible it is. Again. I did the studies. Anything for you. Combine the first three ingredients and mix until smooth. 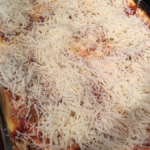 Spread into a small microwave-safe dish and microwave for 3-4 minutes. You want the edges bubbly and the dip uniformly hot. Source: eReplacementParts.com blogIf you don’t like avocados, I challenge you to try them again. Seriously, give them another chance. Their buttery, delicious flavor is something that (in my mind, anyway) would be impossible not to love. Pick yourself an avocado that’s slightly “soft” – too soft and the avocado is going to be a huge disappointment – too hard and… well… the avocado is going to be a huge disappointment. Find one that is “ripe” – the infographic below gives a cool little trick you can use if, unlike me, you don’t like groping avocados. I always use lime juice with my avocados and guacamole, but a lot of people swear by lemon juice. I also like to add freshly ground Pink Himalayan Salt but sea salt is also really good. 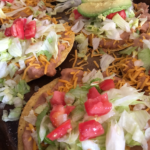 My husband likes cayenne pepper on avocados as well as in guacamole – but I’m more in favor of letting the avocado enjoy the spotlight with just a little salt and lime juice. Something that’s pretty big right now is avocado toast… DELICIOUS!… and you just have to try it to see how amazing it is. Keep reading for ways to enjoy avocados and avocado toast! 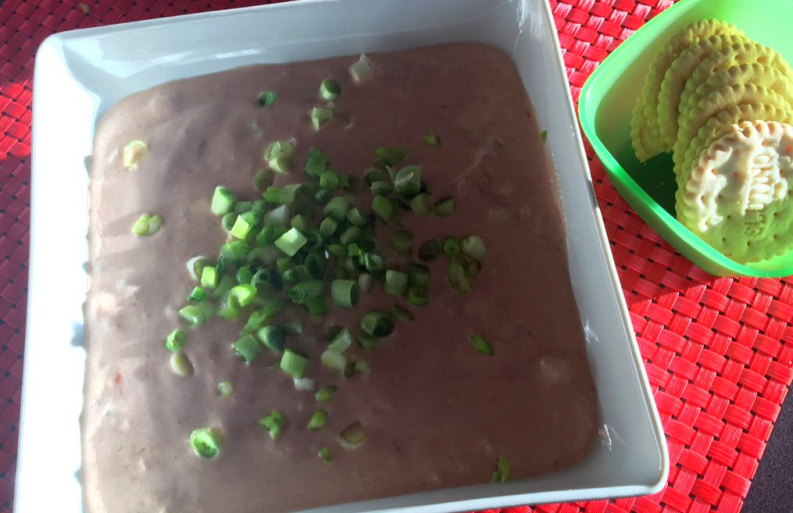 When I was sent the recipe for Creamy Salsa Dip – created by Chef Anthony Stewart from Pritikin Longevity Center + Spa – I rounded up the ingredients immediately. I knew this was something I had to make immediately. I am a dip fanatic and anything that calls for both sour cream AND green onions is something I have to have in my life. 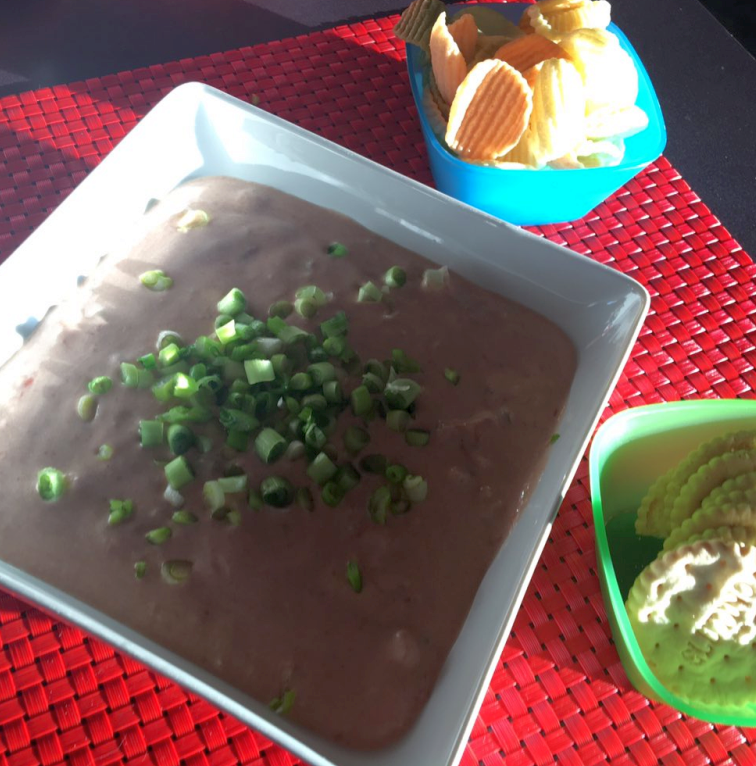 This creamy and delicious dip has a lot going on for it. For one thing, most of us already have the ingredients on hand. I only had to grab fresh sour cream because Christmas Day had confiscated every container I owned. I also love that it’s inexpensive to make – as in very inexpensive. Post-Christmas shopping, we could all use that, right?! The best thing about the dip, however, is the taste. It is outrageously delicious. I served mine with Glutino Crackers and Veggie Chips. When I break it out for football on TV later, I’ll serve vegetables with it. 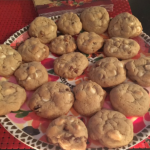 After I made one batch and tasted it… I made another right away. It’s THAT yummy. Mix by hand all ingredients, except for 1 tablespoon of green onions (which will be used as garnish topping). One of the worst things that ever happened to me was one of the best things that ever happen to me. 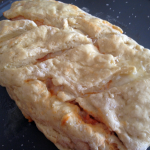 When I had to give up wheat/gluten, I had to TOTALLY change the way I both ate and cooked. As a lifelong avid cook and enthusiastic baker, my culinary world was turned upside down. … This was a challenge that I could either be overwhelmed by or it was a challenge I’d meet head on, with wooden spoon in hand. Yeah, I went with the latter. The complete and utter shake up this caused in my cooking and baking presented me with one of the biggest challenges I’ve ever had and, I’m not kidding, it was.. and is.. kind of a rush. Finding ways to make old favorites just as good now (and many times, even better) is pretty darn cool. It was a shot in the arm in terms of creativity – especially when it comes to sandwiches and burgers. Only recently have gluten free buns and breads become a glorious thing. If we’re being honest, for a while there, they were barely edible! During that time, I enjoyed my sandwiches/burgers either wrapped in lettuce or flat on a plate. Funny thing is, I quickly realized that the burger (or whatever meat is in hand… literally) is the true star and, if you season and prepare the meat right – it’s actually far better without bread. Seriously. With the calories you save from not having bread, you can have another helping of beans, fries, or salad. Or even a second burger – I won’t tell! My new fave thing became finding ways to play with the flavors in burgers and cheeseburgers and to test out different condiments and condiment combinations. 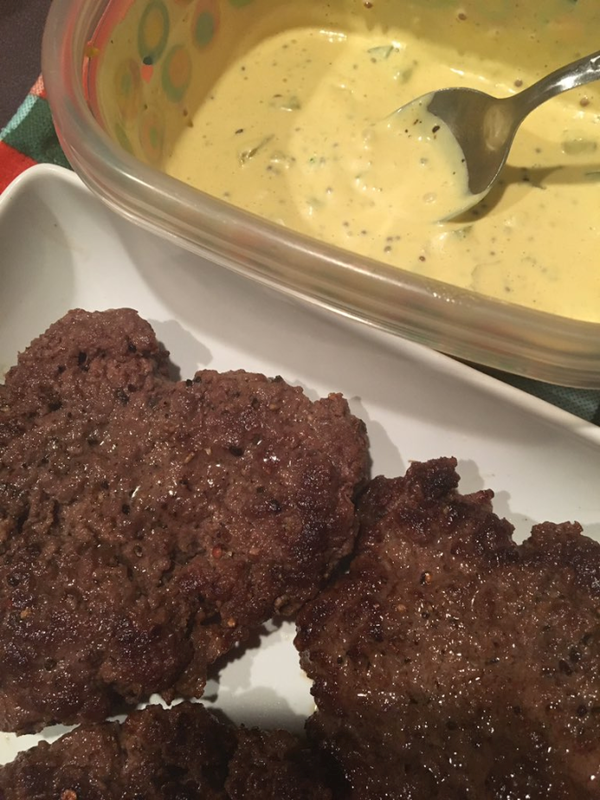 The “Zesty Sauce” shown here is a favorite but I’ll let you in on a little not-so-secret: there’s A LOT to be said for good old-fashioned Thousand Island Dressing on top of a hot burger straight off the grill right out of the iron skillet. If you have to/choose to eat gluten free, make sure it’s a gluten-free Thousand Island dressing. The Zesty Sauce here is a simple combination of some of my own favorite refrigerator residents. When making a special sauce for your burgers, pull from your own favorite cast of characters and see what you come up with. Combine everything and let the flavors mesh for at least 30 minutes before using. 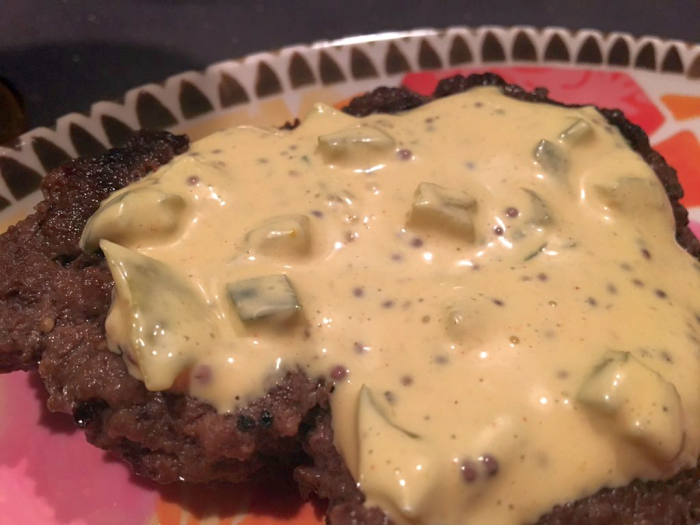 I happen to love a chunky sauce on my burgers, so I’m all about coarsely-chopped pickles. However, using a pickle relish, instead, is a time-saver and it also adds a little sweetness to the deal. The whole-grain mustard is a personal obsession, you can feel free to leave it out – if you do, you may want to add a little more yellow mustard. If you don’ t have a scallion on hand, feel free to use diced onion – as much or as little as you prefer. Basically, there’s no wrong way to go about this. Experiment until you find your very own personal “House Burger Sauce” – if you start tweaking and testing now, you can have a masterpiece by summer! 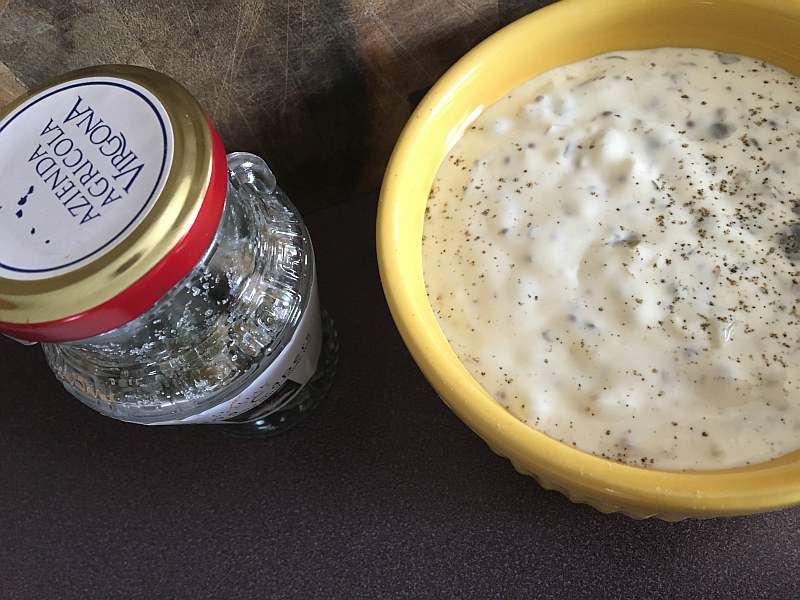 Salina Capers: The Magical Ingredient in this Tartar Sauce Recipe! April’s Eat. Feed. Love. 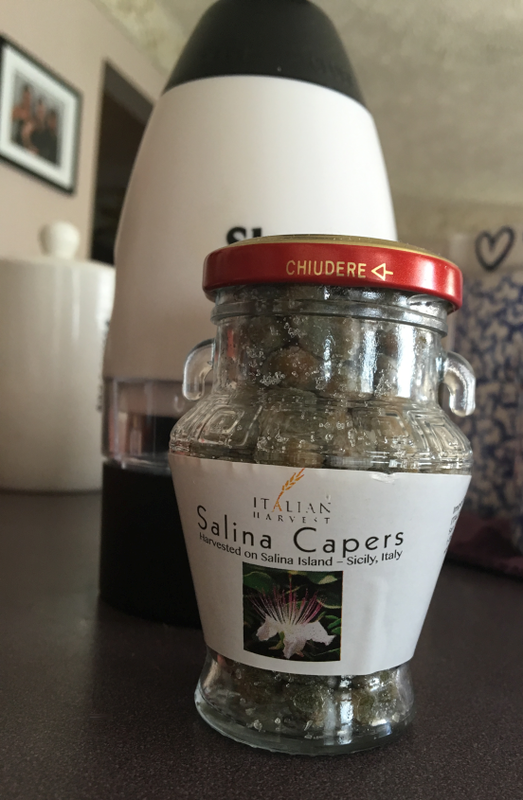 box included a beautiful jar of Salina Capers (cultivated in volcanic soil and handpicked on the island of Salina in Sicily – how’s that for an epic bio?). Although it’s difficult for a foodie, let alone food blogger to admit, I’d never used capers before. Ever. I went about using what would soon become a new obsession by sneaking them into some of my everyday recipes. I added them to my favorite egg salad recipe, to deviled eggs, and even into potato salad – the capers shined through in each and every dish I added them to. The flavor is just beautiful and, I have to tell you, capers and eggs make a special kind of magic when they team up. While the egg salad recipe (linked to earlier in the paragraph) is killer without the capers, it’s extra delicious with them. However… as delicious as each of these were (and they were phenomenal), my absolute favorite way to use capers is in tartar sauce. We eat a lot (a lot a lot a lot) of fish in our family. Whenever I read that experts recommend eating seafood several times a week, my first thought is always, “Is that all?? ?” I actually was already a bona fide fish fiend long before learning how much healthier it is for you than other meats. 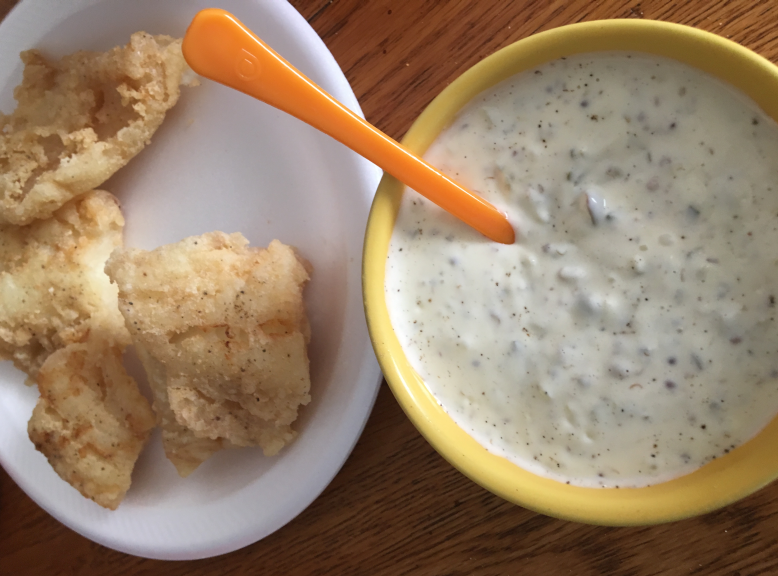 Recently I wanted to make some gluten free fired catfish nuggets with tartar sauce. The problem is, I had become completely and utterly bored with the tartar sauce I typically make. Serviceable and tasty… sure, but BORING. So I turned to my first sources when I’m looking for can’t-miss recipes: Rachael Ray, the Barefoot Contessa, and Alton Brown. 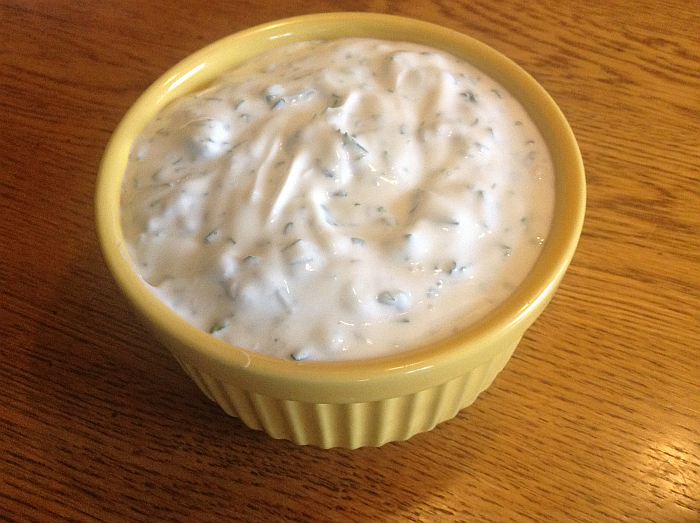 Ina Garten (the Contessa, of course) had a tartar sauce recipe that sounded like HEAVEN to me and called for…. 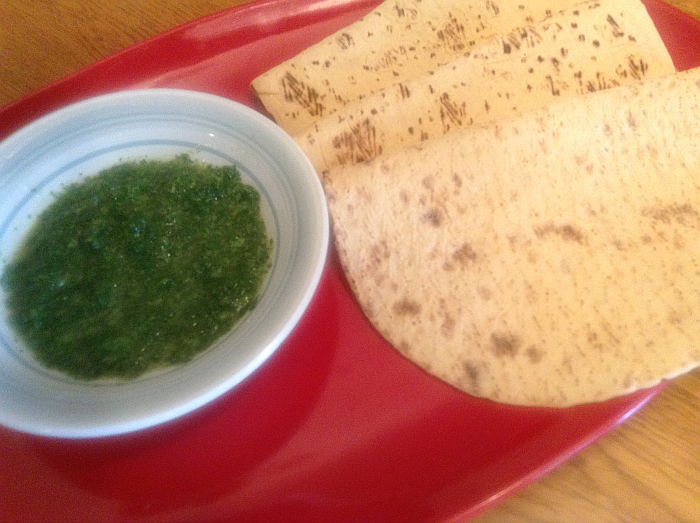 you guessed it… my beloved new friends, capers. I gathered up the ingredients and made what is, without a doubt, the best tartar sauce on earth. The capers make the difference and this particular tartar sauce will never be accused of being boring. It defies description – you HAVE to try it for yourself. 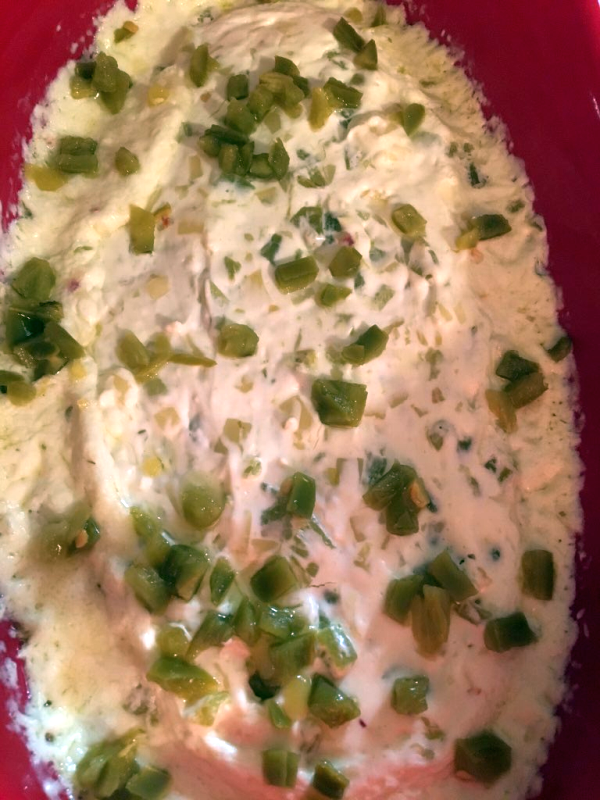 Below is the way I approached her wonderful recipe – click here to watch the Barefoot Contessa make this freaking amazing tartar sauce. Combine in the food processor (or a "mini-chop") and voila - the best tartar sauce you ever had. I hope you’ll head over to Eat. Feed. 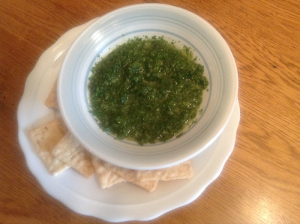 Love.’s website and grab a jar of Salina Capers – they are remarkable. When you begin using capers in your recipes, as with all new-ish ingredients, go easy at first until you’re familiar with the flavor, intensity, etc. Capers are absolutely remarkable and I’m kicking myself for not using them sooner. They add a delectable little tanginess to whatever you put them in and, trust me, they create a tartar sauce that’ll steal the show. Chobani Greek Yogurt and I Are Ready for Super Bowl Sunday! GO BRONCOS! Sorry, I couldn’t stop myself (I tried, I promise) but I’m a LONG TIME Broncos fan and can not contain my excitement for their return to the Superbowl or my pride in the team for keeping it together while Peyton Manning dealt with his injury. As much as anything, I’m blown away by his commitment and determination and would love to see him rewarded with the superbowl championship. As a sports fan, I’m always thrilled about championship games. Not only are they exciting, they’re a lot of fun, whether your team has made it all the way or not. You could make a case for it being funner if your team doesn’t make it – more relaxing, at least. As a foodie, I love the chance to celebrate big events like this with food and usually spend days thinking of what I’ll make. It’s all part of the fun and excitement. Chobani has a TON of delicious recipe ideas for Superbowl Sunday – of course, they’re wonderful the rest of the year, too. Click through the link and you’ll see what I mean. Inspired by their passion for Superbowl snacks, I plan to use Chobani Plain Greek Yogurt in a few of my own Superbowl delicacies. 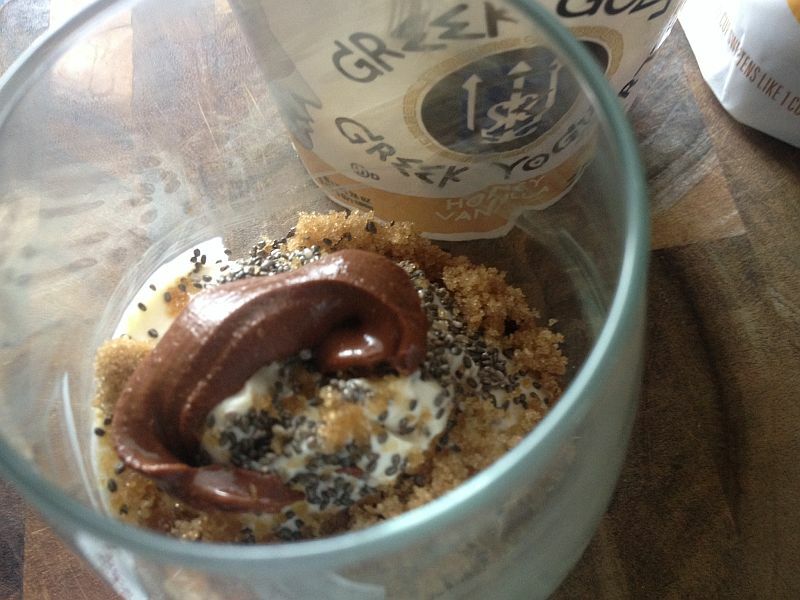 I love using Chobani Greek Yogurt in a lot of things, year-round. Their Vanilla Greek Yogurt, Coconut (!!!! ), and their Honey are each crazy good in smoothies. Every single flavor is also delicious served as Yogurt Parfaits (granola in the bottom of the glass, topped with yogurt, then finished off with fruit and chia seeds). 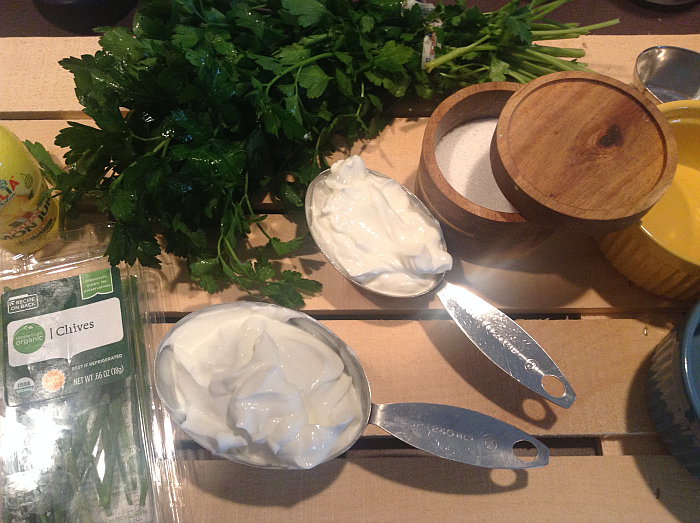 In cold/uncooked recipes, simply use the same amount of plain Greek Yogurt as you’d use sour cream or mayo. I’m ALL about the extra zip that Greek Yogurt brings to the party (what’d you expect from someone who names their food blog domain Buttermilk Press??). If you want a more subtle flavor, you might need to adjust the other ingredients. When replacing one ingredient with another, always taste as you go – that holds true for any ingredients, of course. You can EVEN replace buttermilk (gasp!) in some recipes with yogurt. Greek Yogurt is pretty thick, though, so thinning it a little with milk beforehand is a good idea. Just look for the consistency of buttermilk. When having people over for an event – whether it’s Super Bowl Sunday, Christmas, a birthday, or a summer cookout, it’s always thoughtful (and downright kind) to have options for everyone. For example, there should be something just as fabulous and exciting for the non-meat eater as there is for the meat eaters. There should be options for those who can’t eat (or even simply choose not to eat) wheat/gluten. It only takes a little extra thought and it can mean the world to someone. If you’re having burgers, be sure to provide large leaves of lettuce for those who want to skip the bun. Have black bean burgers for the non-meat eaters in the crowd (or for people who may like meat just fine but, like me, simply want a black bean burger sometimes). There are even a precious few frozen black bean burgers on the market that are gluten free. The main thing is variety – make sure there’s a little something for everyone. Naturally, you’ll want to have your BRONCOS plates and napkins out. Okay, okay, maybe you’ll just want to have Super Bowl napkins – I’ll forgive you. If you want either team (the good guys or the Panthers), check a Party Outlet type store. Or, you could simply grab several sets of napkins in the colors of the teams playing. 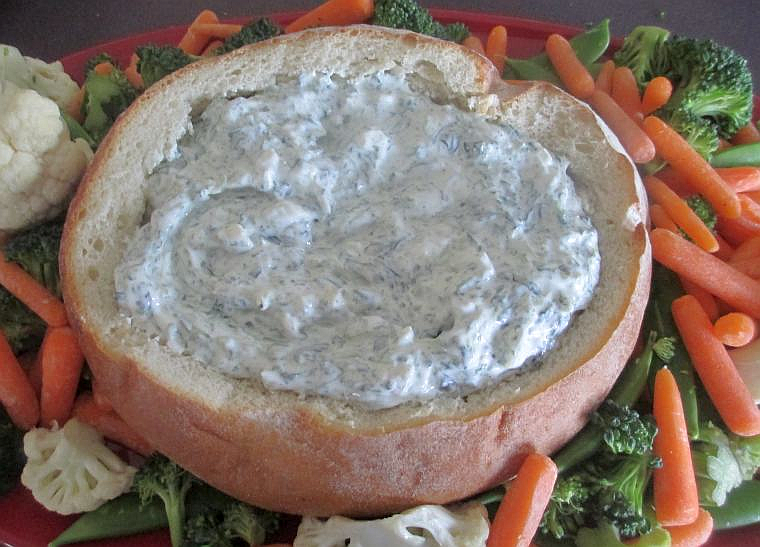 Replace sour cream with Greek Yogurt in your favorite spinach dip and serve it in a hollowed out bread “bowl” – surround it with mini vegetables for an extra pretty display. Make your own Ranch Dressing – using Greek Yogurt in place of the sour cream (I love the Hidden Valley Ranch envelope seasonings for this) and use to dip chicken wings, “buffalo cauliflower” (roasted cauliflower coated in wing sauce), chips, or veggies. Wedge Salads are also a fun item to have on your Super Bowl buffet. Iceberg lettuce is uncommonly inexpensive and pairs like a dream with Ranch Dressing made with Greek Yogurt. Simply cut a couple of heads (the number depends upon the number of guests, of course) of iceberg lettuce into wedges and arrange on a platter. Drizzle with your dressing, then top with any combination of finely chopped cucumber, chives, green onions, crumbled bacon, or finely chopped tomatoes or peppers. 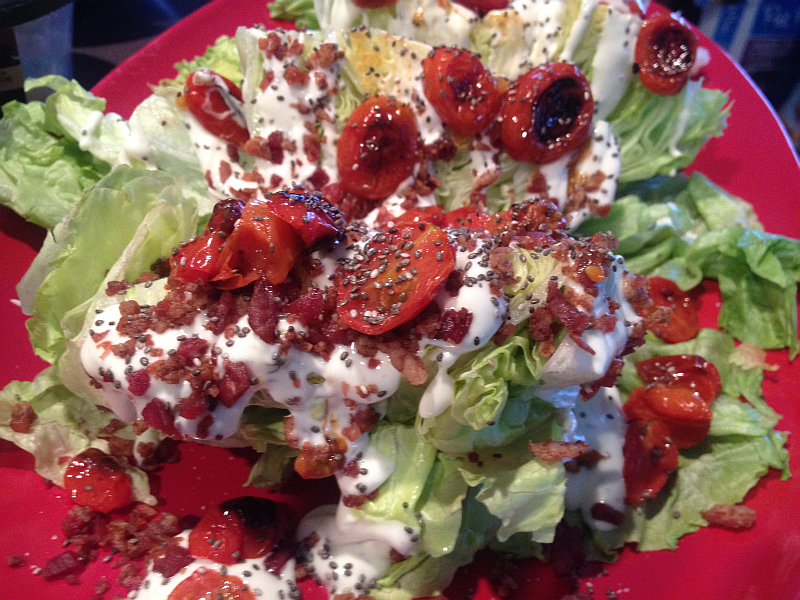 In the wedge salad pictured above, I roasted some cherry tomatoes and combined them with bacon and the Greek Ranch Dressing (recipe below). You could also crumble some Blue Cheese or feta on top of wedge salads for even more flavor. Wedge salads are, like, 10 times more delicious than you expect them to be. Each and every time. For whatever reason, they’re fun to eat, too. And did I mention how cheap iceberg lettuce is? Combine all ingredients and chill. Perfect for wedge salads, tossed salads, chicken wings, or even for drizzling on pizza. 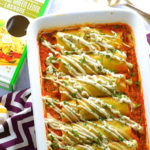 Don’t forget to check out Chobani’s delicious recipe ideas for Super Bowl Sunday… and GO BRONCOS!!! I tried those artificial sweeteners but, guess what? They taste artificial. Then I tried Truvia and BAM! I fell in love with the first sip and have never looked back. Truvia in tea and coffee tastes JUST like sugar but without the calories. Win, win, win. And He is, but that’s beside the point. Truvia just launched its new Truvia Brown Sugar Blend, a mixture of Truvia and Brown Sugar that offers a brown-sugar-like taste, texture, and volume, with 75 percent fewer calories than regular brown sugar. 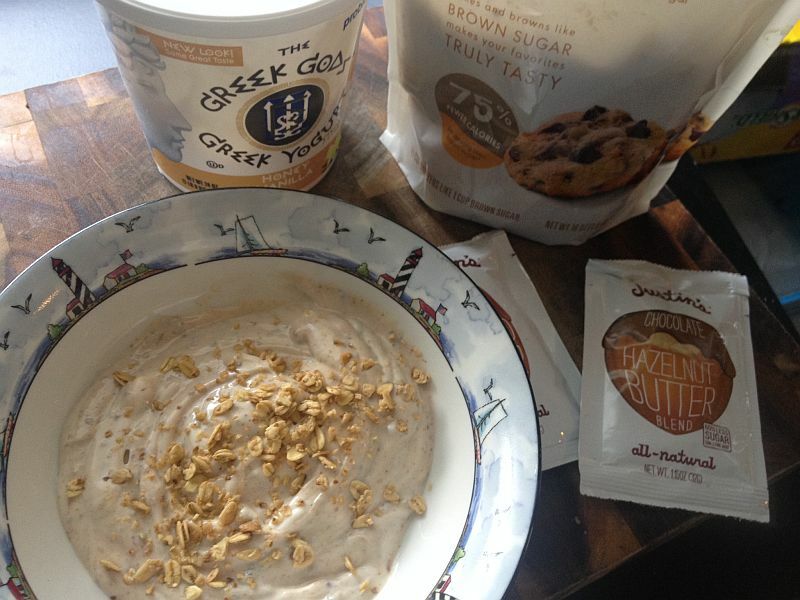 I’ve used this Brown Sugar Blend in gluten free chocolate chip cookies, fried apples, baby carrots, sweet potatoes, and in a delicious Brown Sugar Nut Butter Fruit Dip or Parfait – (Recipe Below). I’ve also sprinkled it on oatmeal, which is an experience all in itself. If you’re as familiar with Truvia as I am, you won’t be surprised when I tell you that this brown sugar blend produces the exact same taste you get with traditional brown sugar. It tastes just as sweet and leaves absolutely no aftertaste or unpleasantness. 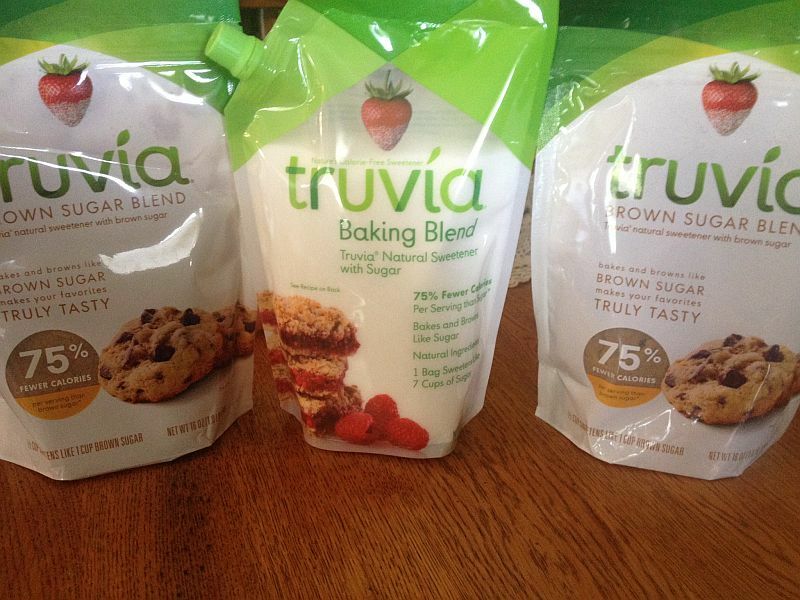 Truvia also has another wonderful calorie saver, their Baking Blend. What have I used this particular blend in? Only everything. Like the Brown Sugar Blend, it performs exactly like its calorie-rich counterpart. To celebrate their delicious new baking blends, Truvia® is giving all cooking and baking enthusiasts the chance to share their talents in the Truvia Baking Star contest. Bakers can submit videos that feature their own original Truvia Brown Sugar Blend recipe, to win a trip to New York and an all-expense paid professionally-filmed baking video that will be promoted by the brand. 3 Finalists will be sent to NYC for a bake-off, where they’ll meet Truvia brand reps, reporters and editors of top media publications, and four YouTube bloggers (named below). For recipes with Truvia Brown Sugar Blend and more info on the contest, check out videos from four of YouTube’s top food vloggers: Gaby Dalkin, Byron Talbott, April Moore and Joanne Ozug, all who created recipe videos to kick-off the contest. Simply combine the first four ingredients in a bowl or parfait-type glass. As you can see from the picture above, it looks so pretty you won’t want to stir the ingredients into one another – but stir you must (or at least should – after all, you want the flavors to mingle and get to know one another). Optional for Parfaits: Add fruit, granola. or nuts on the bottom or on the top. This is one of those recipes you can totally make your own. Choose your favorite yogurt and add any fruit and/or nuts you like. Because of the fact that I’m obsessed with “super foods” and healthy ingredients, I DO recommend adding Chia Seeds or, at the very least, sunflower seeds. 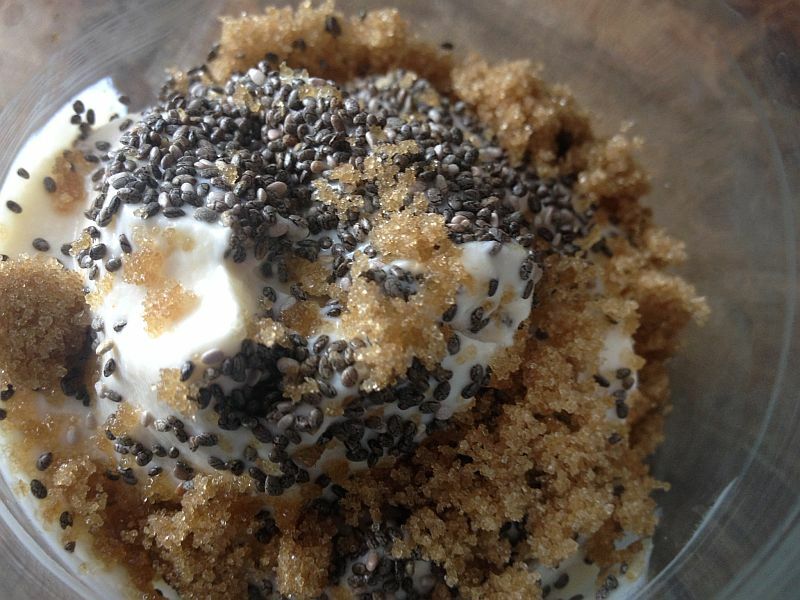 Chia Seeds are uncommonly good for you and the flavor they bring to the party is wonderful. 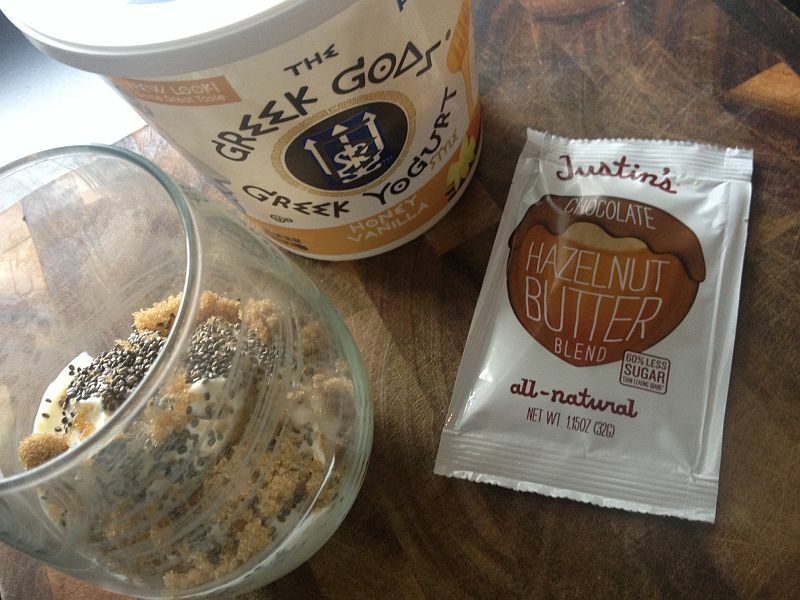 I also highly, highly recommend using either Justin’s Chocolate Hazelnut Butter Blend or Justin’s Maple Almond Butter – both are AMAZING in this dip/parfait. These deliciously addictive blends are usually found in the health food section of supermarkets. Finally, using Truvia Brown Sugar Blend is a must here. What’s the point of making a healthy fruit dip or parfait if it’s going to be packed with extra calories, right?! Grab these wonderful Truvia Baking Blends as soon as you can. I’m already using them to test out different Thanksgiving and Christmas recipes. 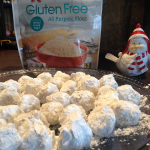 Thanks to Truvia, maybe we won’t all gain 5 pounds this holiday season! 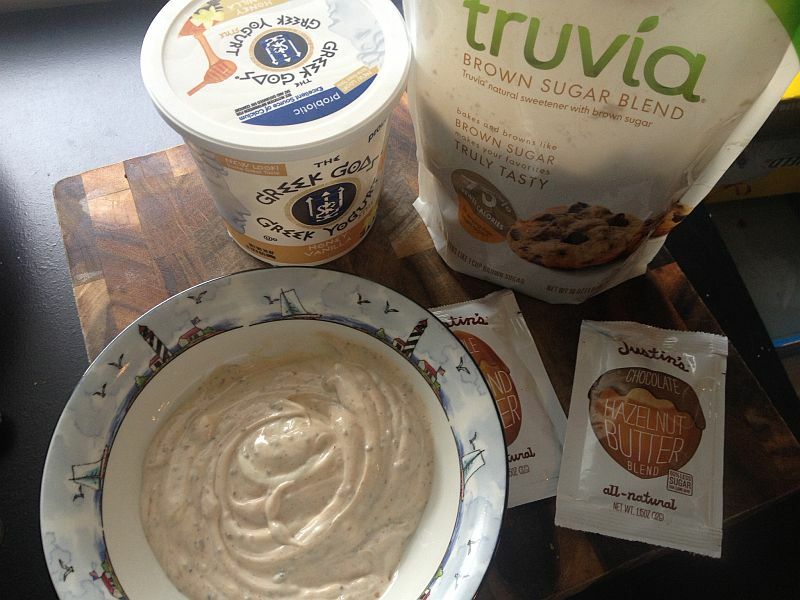 You’re going to LOVE using Truvia Baking Blends in your favorite recipes! 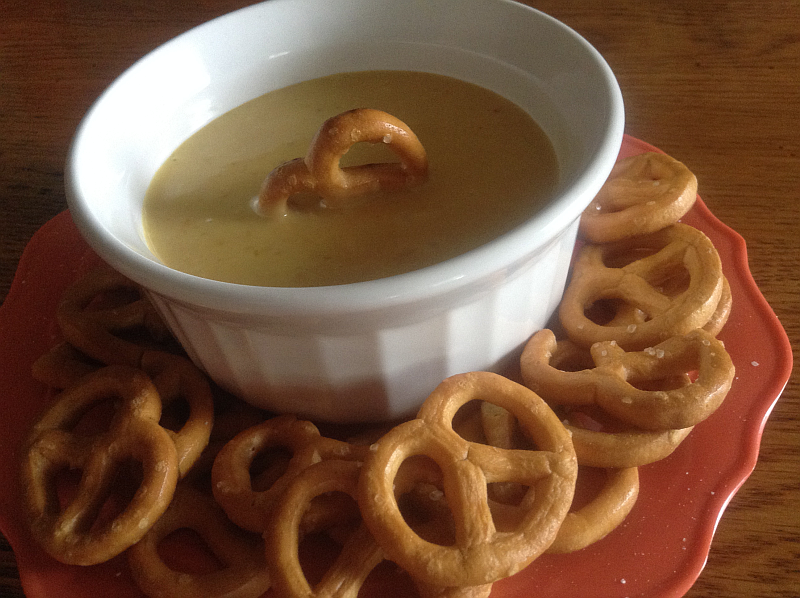 In the Glutino Gluten Free Pretzels review I just posted, I told you about a killer Honey Mustard Dip I came up with. 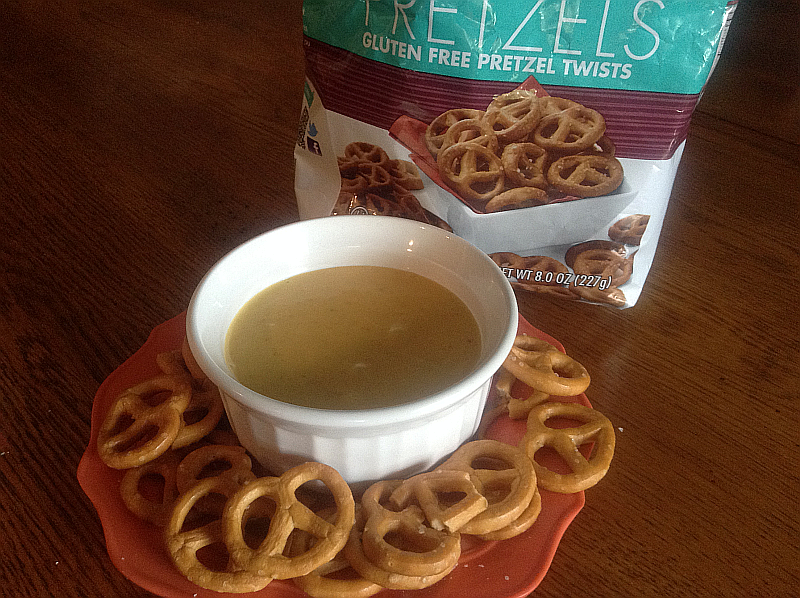 Inspired by these crisp and delicious little pretzels, I wanted a sweet and tangy honey mustard dip. One that special, delicious, gluten free, and (one of my all-time favorite adjectives) “kick-y”. I grabbed my other ingredients and set to work. I’ll list the brands I used but feel free to use your own brands. If (like me) you have to eat gluten free, though, be sure to choose brands that are. When it comes to Mayonnaise, Hellman’s is the only one I”ve found that IS gluten free. It’s also exceptional, so it’s all good. Experiment with different brands/flavors of BBQ Sauce. This brand and flavor is just my own personal favorite – which can probably be attributed to the fact that it’s pretty sweet. This makes a good amount, which is a necessity because it’s super delicious – but feel free to half it if you’d like. I use local honey which may or may not make the dip better. For a knock out game day platter, serve block Colby cheese (sliced) and pretzels (Glutino for the GF crowd) along with the dip. 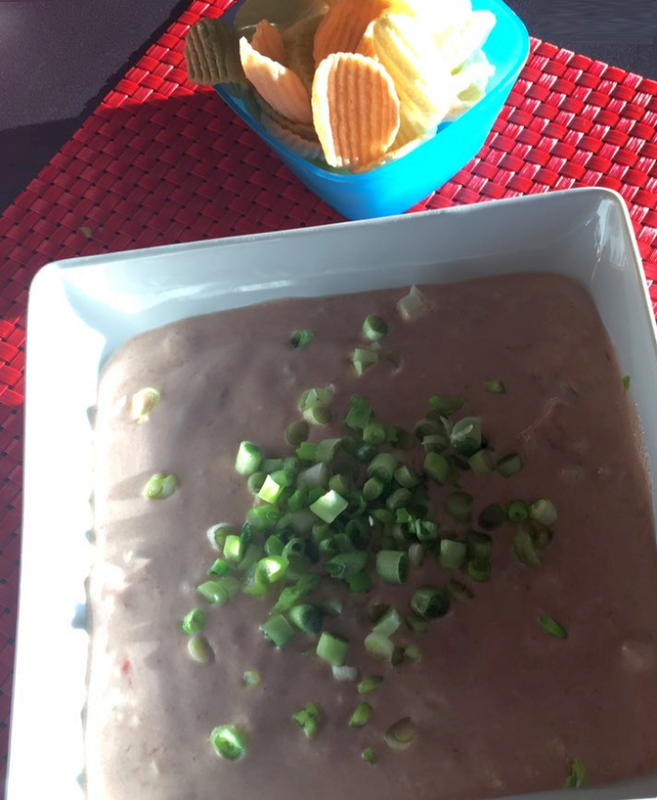 Chicken is excellent with this dip. I would imagine that big fat baked pretzels would be amazing, too. I’ve never used this dip as a salad dressing, but I’m thinking it’d be pretty darn good. Peel and core the avocados. Using a fork, mash the avocados with the lime juice, but don’t over-mash. Guacamole is better when it’s a little chunky. Add the vegetables and seasonings. 1 Tbs of pickled jalapenos can be subbed for a fresh jalapeno. Needless to say, use more or less of jalapenos, depending upon your personal pain threshold. When it comes to salt – you’d never want to make guacamole without a little salt, but don’t overdo it – especially if you’re serving your guacamole with tortilla chips. The chips are salty enough, you don’t want to go overboard. About 1/2 tsp is honestly all you nee. 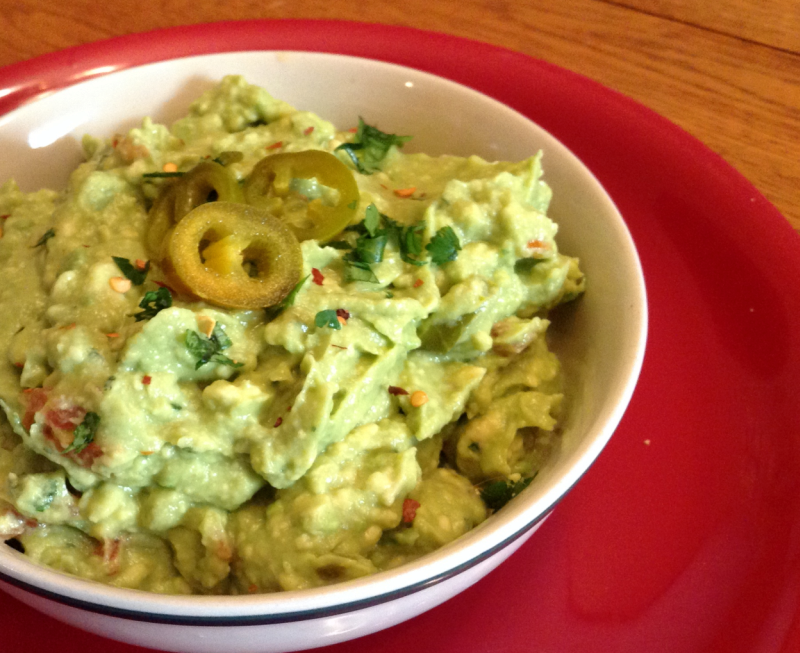 Decorate the top of your guacamole with jalapeno slices, chopped cilantro, and/or chopped tomato. The best tip I have for storing leftover guacamole is this: Don’t have any leftover guacamole. Honestly, I’d actually rather make a small batch, then if it’s eaten, make a second batch. Like avocados, guacamole turns ugly on a dime – and since they cost quite a few dimes, I don’t like to mess around with them. Keep the pits after you’ve peeled your avocados. 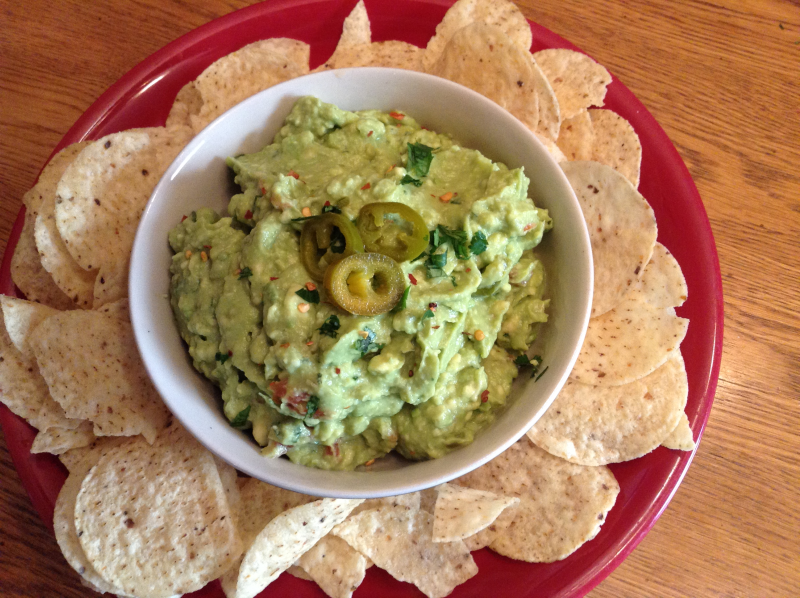 Place the pit down into the guacamole when you’re putting it into the refrigerator. The pit keeps it from turning brown on you too fast. Again, if you simply MUST keep your guacamole for a little while, place plastic wrap directly onto the guacamole itself. Don’t leave any “pockets” for air to get to the guacamole. Best bet: eat it all and make more.